Do French Bulldogs Make Good Family Pets? 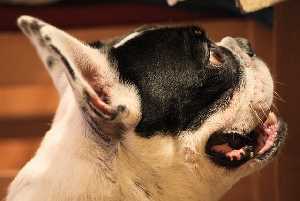 The Frenchie, as they are often called is a breed of small, happy dogs. Their energy exceeds their size, as this dog loves to run and play. These dogs are known for their insatiable desire to hang around people. They are little bundles of fun and great additions to any family they join. The French Bulldog isn't a very vocal dog. They bark infrequently, so they're good apartment dogs and can manage in places of high population density. This makes them ideal dogs for people sensitive to high volumes as well. They are known to get protective of their owners sometimes though so they may bark at the presence of strangers or anyone unfamiliar. Their protectiveness of their owners comes from the French Bulldog’s somewhat self-centered personality. They love to be the center of attention, and particularly dislike it when they aren't. They tend to get spoiled being the small, family dogs they are, getting used to being pampered and adored. Some are even known to suffer from Small Dog Syndrome. They may not appreciate guests, but they will still gladly meet new people. Other than sometimes being protective of their owners, Frenchies are usually fine around strangers. They are actually pretty social, and happy to meet new people. They'll happily approach and cozy up to a new person in the home. The more attention for them, the better. This breed doesn't have any age limit when it comes to playing. They live happily with people of all ages and are one of the few breeds that can safely coexist with smaller children. Because of their size, they can’t really harm anything, so they're not too much of a risk factor. It is still recommended that small children be watched when playing with them regardless. As you might have been able to guess, French Bulldogs are not much in the way of protection. Their small build and lack of muscles make them unable to deal much damage. Their size also makes them pretty lacking in the intimidation department. This isn't the dog to be guarding you or your family. They don't make for good watchdogs either. 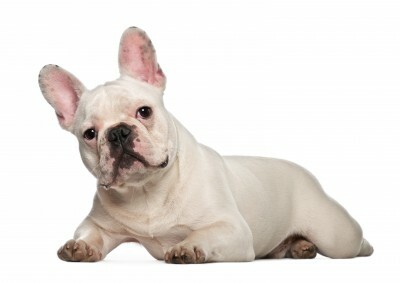 Frenchies aren't a very vocal breed and aren't very loud when they do bark. While this is good if you or your neighbors are especially sensitive to high volumes, it's not good for alerting for intruders. They are better suited for sleeping in a house than acting sentry for it. If you love to watch comical behavior, this is your breed. They like to mess around, acting out in all sorts of silly behavior if it means getting attention. While their mischievous and silly behavior is entertaining, it's good to make sure they know their boundaries. They sometimes can't tell what is acceptable when it comes to how they act, and misbehaving Frenchies are pretty stubborn. There's widespread awareness of the Frenchie’s tendencies to be stubborn. If bad habits are not broken early on in the dog’s life, they'll stick. Frenchies need authoritative owners that can be respected by the dog. If they are interested in something, they won't be too interested in what their owners or anyone else has to say. Overall, they bring a calming element to the household. They are not very excitable or energetic dogs, but instead another casual addition to the family. The most energy they'll display will be while playing, but otherwise, this breed is content with being a lapdog. This makes them great dogs for elderly or people living alone. French Bulldogs love human company so much, they can't stand being alone. Seriously, it's actually a problem, the breed is especially prone to separation anxiety when left alone too long by their owners. They function best when someone is home all day, but some owners send them to a doggy day care or hire a dog sitter. 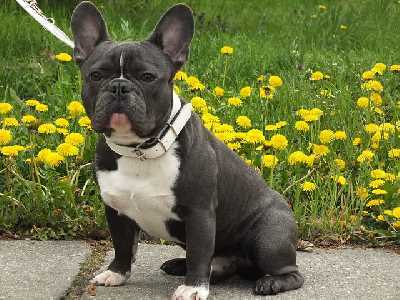 The smaller French Bulldog of today is hardly comparable to their ancestral roots. 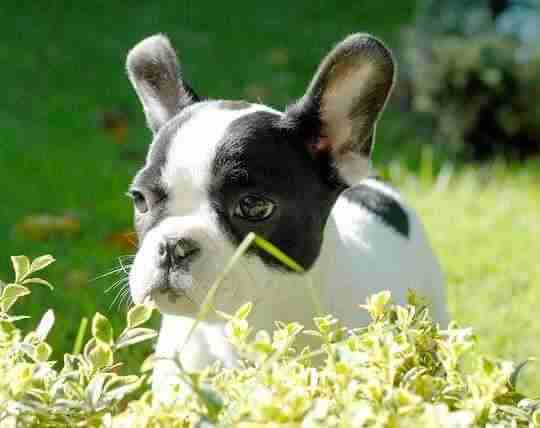 French Bulldogs are descendants of the English Bulldogs, a product of selectively mixed breeding in the early 1800s. The Bulldog was a very popular breed during this century, and many different breeds of Bulldog were produced in these years. The smaller Bulldogs that mixed with local dogs produced the breed that is seen today. These smaller Bulldogs gained popularity all through England, especially amongst artisans at the time. Many of them were brought to France by these artisans, who left after they were replaced by factories. Once they got to France, their notoriety skyrocketed. The French loved this tiny, silly Bulldog so much that they gave their name to it. Since France set the standards for what was popular in the world at the time, this breed quickly spread throughout Europe. It didn't take long before the breed made its way to the United States. The people in the US loved the dog almost as much as much as the French, and many were brought into the country in the late 1800s. They soon saw participation in official events, including the Westminster Dog Show in 1896. After that, the breed saw a steady population growth into the early 1900s. After WW2, the breed was verging on extinction. It could hardly be found in Europe since few could afford a dog, but wealthy in both Europe and the US kept the breed going. It gained popularity in the 1960s once economic prosperity in the US allowed for the family dog to be somewhat of a standard. It continued to become more famous around the world all the way into the 21st century. In the '80s and '90s, the breed’s population grew exponentially. It was a popular dog, especially among the rich and famous. 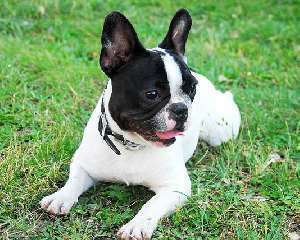 The French Bulldog was a choice breed for celebrities, and this may have led to its expensive pricing. It proceeded to be one of the top 10 most popular dogs in the US in recent years, ranking #9 in 2014. They were recognized by the AKC in 1906 and by the Kennel Club in England in 1903. There are 9 standard coat colors for the French Bulldog, but the predominant coat colors are Brindle. The other coat colors include Brindle and White, White, Cream, Fawn Brindle, White and Fawn, and a few other color combinations. There are no standard markings for this breed. The Frenchie is not a breed that presents much difficult while training. They can, however, be quite stubborn. My friend has a Frenchie and definitely agrees with this! We will be interviewing him and little Stella soon. They won't pay much attention to their owner or anyone if they don't feel like it, so it's important to command their respect while training. Their stubbornness can be a problem in later years if it is not dealt with early on when the dog is growing. If they have a bad habit that is not ironed out in these early years, it will stick. They won't give it up easy either, so misbehaving Frenchies need to know when they've done something wrong. Letting them slide only condones more issues. Frenchies are famous for their silly, quirky behavior. It's all fun and games until it becomes a problem. Frenchies need to know their boundaries to prevent any mishaps. They are also like being lap dogs, so if you aren't all for cozying up to them on the couch, attack this issue right off the bat. The French Bulldog typically handles strangers and people fairly well altogether. It is still important to provide early socialization for the dog. Early socialization will make the dog calmer, more familiar with their environments and comfortable around people. Socialization is a necessity when trying to get a Frenchie to share the house with another dog or cat, however. They don't take kindly to somebody taking the spotlight away from them, getting selfish of their owners. 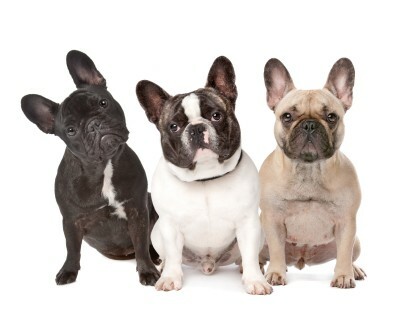 It’s ideal to raise a French Bulldog with other animals so they are used to them. Their small build and lack of muscles make them unable to deal much damage. Their size also makes them pretty lacking in the intimidation department. This isn't the dog to be guarding you or your family. While this is good if you or your neighbors are especially sensitive to high volumes, it's not good for alerting for intruders. They are better suited for sleeping in a house than acting sentry for it. There's also not a chance that a Frenchie will even see an intruder as a threat because they like meeting new people and are comfortable around strangers. They are more likely to greet an intruder like a guest in the home, someone else to pay attention to them. Frenchies might fare better defending the property from rodents, but otherwise, these tiny Bulldogs aren't great for guarding houses. Grooming a French Bulldog is very easy. Their short coats do not get a lot of stuff stuck in them, and they shed fairly regularly. Frequent shedding removes any dirt or odor causing particles that may be trapped, giving them a continual clean look. Regular brushing can help remove leftover dead hair and dirt. It is recommended that this breed is brushed at least once a week. 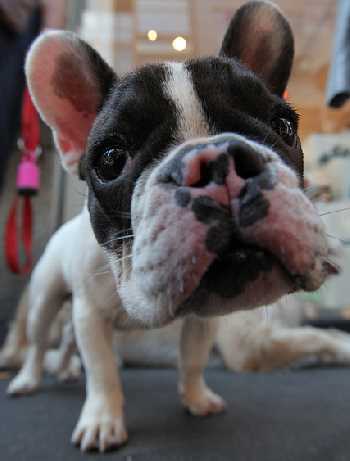 While French Bulldogs don't tend to get dirty, they can get smelly. It’s suggested that they get bathed once a month or as needed, as every dog is different. Frequent bathing can be unhealthy for the dog’s skin and coat, so it's important only to wash them when needed. Regular bathing keeps them clean and smelling nice. No, French Bulldogs don't need to have French Manicures too. They do need regular nail maintenance, though. If a dog’s nails get to be too long, they can become uncomfortable or even painful and will need to be clipped. A good way to tell when a dog’s nails are too long is if they click against the ground when they move. Along with their coat, Frenchies need their teeth brushed too. Regular brushing promotes dental health as well as fresh breath, as dog breath goes at least. It's recommended that these dogs have their teeth brushed at least 2-3 times a week. If you're really shooting for that pearly white smile, daily brushing is required. The big radar dishes that French Bulldogs call ears will need to be cleaned as well. It’s important to clean a dog’s ears to prevent too much wax buildup and infection. 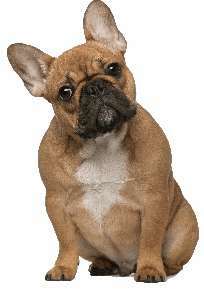 Frenchies ears are less prone to infection since they have airflow but can get things stuck in them. It’s recommended that their ears be cleaned once a week. All dogs are most likely going to have some health issue in their lives. Prevention is the best medicine, however, so supplying the dog with proper, regular healthcare is key to maintaining its health. Some breeds are more prone to certain health issues than others. While a French Bulldog isn't inevitably going to be affected by any of these conditions, it is still important to be familiar with them. Some breeds are also prone to certain genetic health conditions. A good way to find a dog less likely to have genetic issues is by purchasing them from a reputable breeder. A good breeder will know the breed inside and out and will be able to explain what genetic problems the dog may be at risk for. For many of the above problems including hip dysplasia, skin conditions and respiratory problems we find the natural aloe vera products to be a great help. You can READ MORE HERE about aloe vera for dogs.